Asda has been on a cloud-based e-commerce journey over the past six years after taking its general merchandising (GM) and George clothing websites to the cloud, allowing the retailer to concentrate on innovating its retail offering. Asda’s first foray into e-commerce was its online grocery shopping, and in 2008 it decided to take its Asda Direct and George clothing business online in just six months. Alex Alexander, multichannel technology director at Asda, says this was an aggressive timeline, but the firm's online business (GM and food) is now hitting £1bn of sales a year, and it aims to reach £3bn by 2018. Working with eCommera, which delivered its software-as-a-service (SaaS) DynamicCommerce platform powered by Demandware, the supermarket chain was able to work in a much more agile way. Asda has since grown its George clothing brand and offers delivery in 10 countries in mainland Europe, including Belgium, France, Italy and Spain. 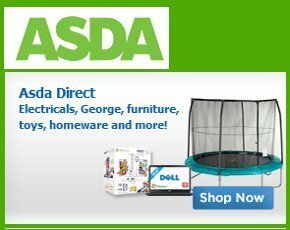 As well as the e-commerce websites, Asda and eCommera have implemented some innovative customer services, including PayPal for mobile payments and click and collect. He says the process of shopping online becomes a lot quicker because it involves fewer steps than before, which helps conversion rates and reduces basket abandonment. One of the services Asda implemented last year was click and collect as well as next-day delivery, which Alexander says is among the most innovative in the market. eCommera was also behind its click-and-collect capability, which has resulted in an average of 60% of online GM orders being collected in-store by shoppers, rising to 70% for clothing. The supermarket now also sees customers spend an average of £9 more when they come into stores to collect their goods. It is also interesting to note that UK retailers are storming ahead in the provision of click-and-collect services for customers compared with their US counterparts. Alexander says that Asda, which is a subsidiary of US retailer Walmart, works with the US giant to share technology innovation and ideas. Walmart is currently looking into how it can leverage Asda’s click-and-collect strategy, he says. All of these additional customer services are pieces of Asda’s omnichannel puzzle, which Alexander says is a key priority. Alexander says that many retailers have a multichannel strategy, but Asda’s is omnichannel – the difference being that omnichannel provides a consistent approach across all of the customer’s interactions with Asda: online, mobile, call centre and in-store. “We can start interactions on one channel and continue on another,” he says. As part of its omnichannel strategy, Asda rolled out in-store kiosk ordering at the end of last year. This provides customers with another channel in-store, with access to the full range of GM and the George product catalogue. Asda’s strategy is to become successful in different channels independently of each other, but then to make it seamless if customers go through the different channels as part of their journey, says Alexander. “Customers may start in-store, go online to compare prices, and start their transition online and complete on mobile. And they may ring the contact centre with any post-transaction questions. The key to an omnichannel strategy lies in the data that retailers can collect about their customers, and the ability to then serve them consistently across channels. “We need to make sure we have the single view of the customer’s history and all interactions they’ve had with us,” says Alexander. By doing this, Asda can decide which services and products are relevant to the customer, and how it can personalise offers using the most suitable channel for each individual customer. Alexander says this data trend will continue in the future because retailers will be using big data to understand more about customers to stay ahead of the competition. “Next is mobility – not mobile, mobility,” he says, which means making sure the proliferation of mobile devices is consistent across channels.